Is An Aftershave Balm Really Necessary? There is absolutely no reason why you need to be dealing with post shave razor burn or general skin irritation. To provide that post shave bliss, you need to incorporate an aftershave balm. During our review, we found that the single best aftershave balm was Nivea’s Soothing Aftershave Balm. Nivea’s aftershave balm, and others that we reviewed, provide an incredibly soothing sensation that will leave your face feeling both refreshed and smooth. 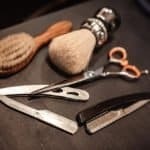 When it comes to shaving there are so many different methods and tools out there at your disposal. From both the rotary and foil based electric shavers made by the heavyweight manufacturers, to disposable razors like the Gillette ProFusion or from club memberships like Dollar Shave Club or start ups like Harry’s the options are really quite endless. However, with the recent resurgence of traditional wet shaving and the rise in popularity of the double edge safety razor, focus on every facet of a man’s shaving routine are under the microscope, and aftershave balm is no exception. This is why products like Nivea’s aftershave balm are leading the way in providing a post shave bliss never realized until men start to use this product. There are other entrants that are gaining ground within this area to that are definitely worth considering, first and foremost the Lather & Wood aftershave balm that we reviewed is an all natural solution that will leave you with a wonderful barbershop fragrance of sandalwood that will evoke extremely rich and warm scents. But what about some of the stalwarts of this space such as Proraso or Art of Shaving? We go over all that and more in our in-depth review below. We have spent several hours going over all the best aftershave balms on the market. From all natural heavy solutions like the Lather & Wood aftershave balm to those that also contain synthetic ingredients like those found in Proraso’s line. Not only have we spent an exhaustive amount of time covering aftershave splashes, lotions, and balms, but we have also covered shaving extensively as well – from deciding the best shaving cream, down to the best shaving brush that will help to lift up your whiskers in order to get a cleaner cut when making the appropriate passes with the razor of your choice. 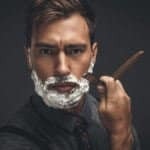 In addition to our own publications, we also look at how men within the wet shaving community through extensive research on blogs, forums (i.e. Badger & Blade, Reddit, etc.) Amazon reviews, and other leading publications view the products. With that being said, we set out on a mission to review eight very different and unique aftershave balms that promise to give you a post-shave comfort not found in your typical aftershave splash or other shaving related products. Our finalist and runner up aftershave balms are suitable for all skin types and will give you the most comfortable skin that you can get no matter the blade type that you are using (i.e. double edge safety razor, cartridge, straight edge, or even an electric shaver). To determine the best aftershave balm we had to look at a variety of factors. First and foremost we looked at your post shave comfort. If the aftershave balm truly delivers comfort that doesn’t sting terribly once applied. In addition, we also examined the ingredients within the aftershave balms. Generally speaking we aren’t a fan of products that are loaded with synthetic ingredients that are found to be harmful to your skin. Being that you just passed a razor over your face, your pores are completely wide open and are susceptible to bacteria and other airborne particles seeping in. With such an exposure, its best to not also apply harmful chemicals, especially given the vulnerable state of your skin. To benchmark the ingredients found within the balms themselves, we compare the ingredients to those found on the Environmental Working Group’s (www.ewg.org), a non-profit, non-partisan organization dedicated to protecting human health and the environment. While a minor factor, we also look at the scent provided by the aftershave balm itself. When looking at a subjective factor like the scent, its important to take into account is versatility to fit any man’s grooming routine. The less the scent, like what we found in the Nivea balm, allows you to pair with a cologne for mild conflicts on the fragrance side. Whereas a product like the Lather & Wood balm is loaded with rich Sandalwood scents, is desired by some men looking for that classic barbershop smell, while others with a more sensitive nose may steer clear of. 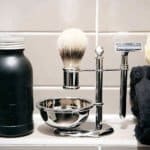 When looking to perfect your shaving routine, there are a lot of steps to get it perfect – aftershave balms are just one piece of a larger puzzle. 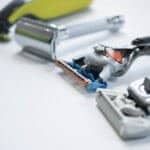 Whether you traditionally shave with a double edge safety razor or the disposable counterpart, having a comprehensive shave routine can make a world of difference when it comes to comfort. First and foremost, its critical to ensure that you let your follicles soak in a warm water. Ideally the best time to shave will be immediately following a hot shower. The reason for this is that the hot water will thicken up your hair follicles along with softening them to ensure that the blade has an easier time cutting through your hair as opposed to it being a rigid and dry follicle. In addition to swelling up the follicle, the hot water will help to open up your pores. If you don’t take a shower prior to shaving, that is completely fine. An acceptable alternative to a shower is to get a towel soaked with hot water and let it rest on your face for several minutes to achieve the same results. After your whiskers have fully soaked, some men will apply a pre shave oil to their skin as well. This step is subjective for some, however we have found that the best pre shave oils have helped tremendously to increase comfort. The primary purpose of a pre shave oil is to create a lubrication layer between both your skin and the shaving cream that is applied during the next step. The added barrier helps to allow the blade to effortlessly glide on your skin without any tearing or tugging on the follicle. Afterwards comes the application of shaving cream. If you are using a canned shaving cream loaded with chemicals, you are doing your skin a massive disservice. A proper shaving cream like Taylor of Old Bond Street’s Sandalwood Shaving Cream will contain several moisturizing and soothing ingredients that will exponentially increase comfort. To apply shaving cream, you will want to use a badger hair brush as it will allow your hairs to stand on edge in order to make a cleaner cut of the follicle. 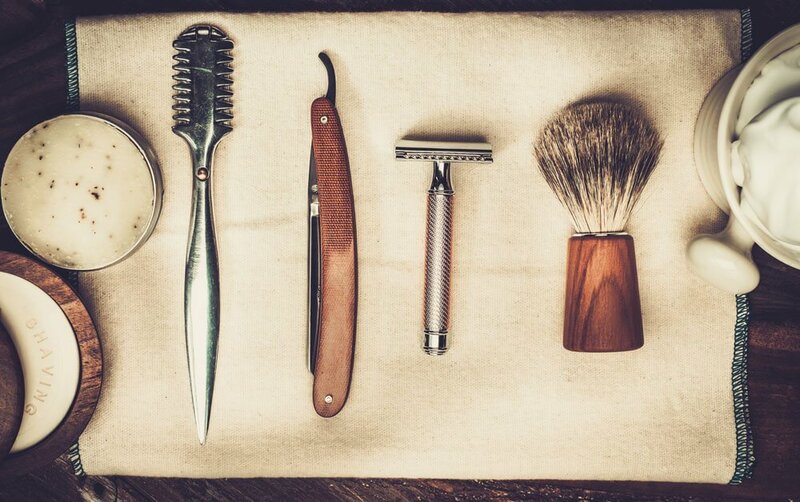 When it comes to blades available at your disposal, there has been a recent resurgence of traditional wet shaving. While some men have taken up the use of a straight edge razor blade, many have begun to use a double edge safety razor. A double edge safety razor like a Merkur 34HD can provide an incredibly close shave for a rock bottom price when compared to their cartridge/disposable counterparts. The long term use of a double edge safety razor will be only pennies on the dollar when compared to other methods of shaving. Once you have completely cleared your face of any whiskers comes the part of the aftershave balm. Balms will provide a layer of soothing relief to ensure that there is no post shave razor burn or skin irritation. Balms vary wildly, which we will cover in a bit, and will typically contain all natural ingredients or hybrid ingredients (such as glycerin) which are considered safe for both topical use as well as consumption. Unlike splashs and some lotions, balms typically won’t contain an alocohol ingredient that will burn afterwards. Instead they are solely meant to provide the same benefits as a traditional splash without the sting. Nivea is one of the giants of skin care, with a whole catalog of products for men and women, which creates a mixed bag of expectations for their sensitive-skin aftershave extra soothing balm. Unlike a small boutique manufacturer, Nivea may be expected to use the cheapest ingredients it can get away with, which could mean a compromised end product. Unlike a dedicated wet-shave product house, however,Nivea has a huge buying public to appeal to and probably aimed at pleasing as many people as possible with this offering. Broadly speaking, the company seems to have hit the mark with this aftershave balm. This aftershave balm is intended for men with very sensitive skin that is prone to razor burn, dryness, and ingrown hairs in the days after a really close shave. To that end, the extra sensitive blend Nivea has come up with uses no dehydrating alcohol, but it does have an awful lot of softening and moisturizing agents to counter the unavoidable strain wet-shaving can put on the skin. The formula for this lotion is so mild, some ladies’ makeup tutorials on YouTube have started encouraging their largely female audience to try using it as a foundation, and their glowing reviews now dominate the product’s page. 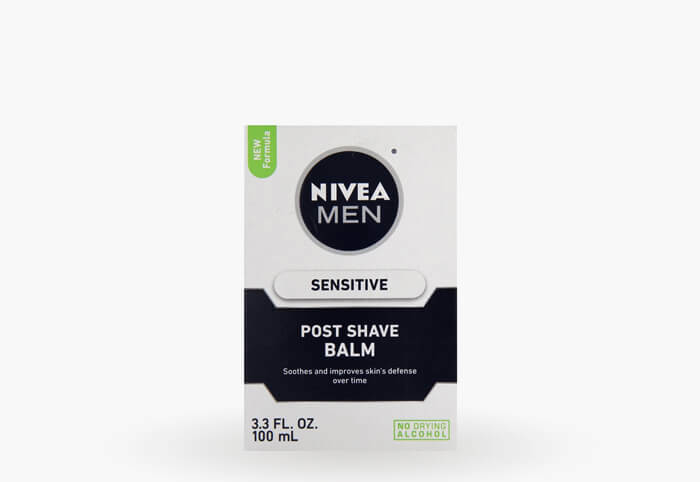 Nivea for Men Sensitive Aftershave Balm arrives in a 4-inch-high box with minimal packaging. This can be a problem; the only protection Nivea packs into the box is a small pillow bag full of air that may do a great job of protecting the lid, but leaves the bottom of the glass bottle totally unprotected. Fortunately, most retailers – as well as Nivea itself – offer to replace a bottle that arrives as a pile of moisturized glass shards. Assuming the package has arrived intact, you’re presented with a very simple plain white bottle with a black screw-top lid. The design is totally without flourishes or adornment of any kind, which again could mean that Nivea was either cutting corners or doing such a great job that the balm inside the bottle speaks for itself. As befits a men’s aftershave that has found new life as a makeup foundation for women, this bottle doesn’t look out of place on either your own spartan counter top or your wife’s busier makeup cabinet. Opening the bottle releases a whiff of faint, fresh-smelling air that doesn’t have any definite notes to speak of. Because this balm was formulated for sensitive skin, Nivea went easy on the perfumes and fixants. The resulting aroma lacks any firm direction, but it smells clean and refreshing. It’s faint enough that a person with a less-sensitive nose might not notice any scent at all. However keen your sense of smell is, this aftershave doesn’t have a strong enough bouquet to clash with your cologne or bother your coworkers. In fact, the scent is almost totally gone about half an hour after application. The lotion in this bottle comes out with a very loose consistency, just a little thicker than mineral oil or massage lotion. This has its advantages, as a very small dose is enough for your whole face and waste is kept to a minimum. If you’re used to a thicker cream the thin texture can be a little off-putting at first. Once you get used to it, however, it’s easy to see how a typical bottle can last around six months or so. Part of the reason for this loose consistency is the water, which Nivea aftershave uses as a first most-common ingredient. Glycerin comes next in place of alcohol, which can irritate and dry out the face. In keeping with this balm’s target market of men with sensitive skin, it contains just enough glycerin to let you know it’s working, but not enough to really tighten your pores or roughen skin texture. A hefty dose of witch hazel acts as a further soothing protectant agent, that also doubles as a slight astringent. This balm uses tapioca starch as a thickening agent and bulk filler, but there’s no detectable residue left behind as a result of it, so the amount must be within reason. Nutrients such as maltodextrin and various triglycerides nourish depleted skin cells that have just had a razor pass over them, and a small amount of sodium hydroxide leavens the pH balance to reduce acidity and keep the stinging to a minimum. Just a small amount of fragrance adds the finishing touch, although Nivea isn’t saying what type of fragrance it uses or how it’s fixed. From the way the scent fades in a few minutes, it’s possible only a weak fixant is used. Nivea for men sensitive aftershave balm was intended from the start to become a favorite for men who are out of options for getting a close shave without traumatizing their sensitive skin. 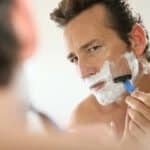 Bumps, rashes, and ingrown hairs have been more than enough trouble to drive away a few wet-shave enthusiasts, but this gentle formulation has the potential to bring them right back into the fold with a soothing lotion that goes on easy and doesn’t make a fuss with an overwhelming scent or harsh stinging sensation. Ideally, you’ll be using this balm with an equally considerate shaving cream and even a straight razor, if you’re truly determined to walk the path of righteousness, shave-wise. If your skin is sensitive enough to need this lotion, don’t forget to start your shave with a hot towel to open your pores and really get your whiskers ready for the blade. Steer clear of aerosol spray cream; sensitive skin needs a close shave that hews close to the surface without pulling or drying out, so you’re much better off with a hand-whipped bowl of flakes that produces a low, controllable lather. Sensitive skin has its own needs, so your options for a good aftershave can be restricted. If Nivea just isn’t for you, try a good moisturizing balm like Proraso that hydrates and replenishes lost skin nutrients. Lather & Wood Shaving Co. has made a commitment to helping men discover wet shaving and start to look forward to their morning shave. This Seattle-based company makes a range of products for before, during, and after your shave, and this aftershave balm is one of their biggest successes. Lather & Wood sandalwood aftershave balm is near the high end of prices, at about $15 an ounce for this product, but the company has made a fair effort to justify the premium pricing with a long list of natural ingredients and a decent balance of textures that should work well for most men’s skin types. The strong aroma of sandalwood is the first thing that jumps out at you when you first apply this balm. A little too strong, in fact; at first it seems as if the makers have gone overboard and put in too much sandalwood oil. The scent quickly fades, though, leaving just enough of a scent that you can skip the cologne for the day if you want. By the time you head out the door, this balm is fully absorbed and the odor is down to acceptably subtle levels. Lather & Wood also offers an unscented version of this balm for men who use other scents, or for people who work with odor-sensitive people. Apart from the scent, most shaving balms rise or fall on their texture. Too thick, and you have a stiff cream that won’t be properly absorbed by the skin of your face. Too thin, and you’re juggling a slippery handful that runs and spills out of your palm. This balm is a little thicker than most of the popular brands on the market, such as Art of Shaving, and it seems to hit the sweet spot between too thick and too thin. A small daub of balm – picture something somewhat smaller than a dime – is enough to cover the whole face with an even layer. The balm is quickly absorbed and barely leaves a residue. Again – by the time you’re dressed and ready for work, you won’t be able to tell you’ve used this product (in a good way). Lather & Wood sandalwood shaving balm is marketed as “alcohol-free,” which is strictly true; it does not contain isopropyl alcohol, which splashes and colognes use as an antiseptic. It does, however, contain organic alcohol extract of white willow bark, and much of the germ killing is done by the glycerin that’s near the top of the ingredients list. Whatever the sterilizing properties of these ingredients, this balm doesn’t sting like an alcohol-heavy lotion, and the glycerin doesn’t really tighten up your pores the way alcohol can. That means fewer ingrown hairs next time, albeit with less of the bracing effect Old Spice fans have gotten used to. The makers of this balm clearly thought about after-shave skin care, and they were serious about encouraging men to take up wet-shaving on a daily basis. The process leaves a lot of tiny (sometimes microscopic) nicks on the face, and even where the skin is unbroken the shave can be uncomfortably close for a man who’s used to safety razors and aerosol lather. It is probably because of that initial discomfort that Lather & Wood has included so many restorative agents in this balm. This balm uses vitamin E oil and aloe barbadensis leaf juice to promote rapid healing of nicks and cuts. Rosemary, witch hazel, and organic coconut oil soothe the scrapes and moisturize the skin in spots where the razor got a little too close. The sandalwood oil doesn’t seem to irritate the skin, and the organic jojoba nicely complements the other calming agents in the balm. A little goes a long way with this stuff. A single 2-ounce bottle of Lather & Wood sandalwood balm has enough product for around 100 shaves, so if you’re using it four times a week, you should be good for about 6 months. One reason such a small bottle lasts as long as it does is that the container is designed to keep waste to a minimum. The balm is dispensed through a small pump mechanism at the top of the bottle, and some men can get away with using a single squirt of it, or even less if you want a less-obtrusive scent to follow you through your day. The clear plastic cap seems like a small addition to the packaging – almost an afterthought – but it keeps the air off of the front of the nozzle, slowing the drying process and further minimizing waste through evaporation. This also keeps the balm inside the pump from drying out and clogging the tubes, so every squeeze delivers an even, uniform dose of aftershave that’s substantially the same as every other. If you’re new to the product, it’s best to use it a few times and vary the amount you pump to work out how much balm is right for you. Lather & Wood has crafted an aftershave balm that is clearly aimed at demanding customers who are willing to pay a premium for the scent and texture they like. Unlike many premium brands, this balm is to be recommended for beginning and experienced wet-shavers alike for its blend of soothing and moisturizing compounds. The scent goes on strong, but fades almost immediately to tolerable levels that shouldn’t bother anybody you work with. As befits a somewhat pricey aftershave, great care has been taken to keep waste to a minimum and give you a balm that, considering how long it lasts, might work out to the same per-shave or per-day price as the cheaper products on the men’s shaving market. Lather & Wood aftershave isn’t for everybody. If you’re looking for a larger package, or a cheaper price point, you can try a 3.3-ounce bottle of Art of Shaving aftershave, which is has a somewhat looser consistency, but delivers a similar scent and feeling against freshly shaved skin. Since 1948, Proraso has been making a name for itself in shaving care products. 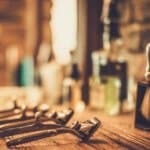 In an age when almost every man in the West was switching to aerosol creams and cheap safety razors, this Florence, Italy-based company was tending the wet-shaving flame with pre- and post-shave products that came with a characteristic bracing scent and way more alcohol than is good for your skin. The alcohol is mostly gone from such products now, and this product – Proraso aftershave balm – is part of the company’s Blue line, which dispenses with alcohol altogether in favor of natural moisturizers and other soothing ingredients for men with somewhat sensitive skin. The Blue line’s principal appeal is the hydrating effect its products have on the faces of men with naturally dry skin, as well as for people who live in cold, drying climates where alcohol-based aftershaves can cause chapping and roughening of the skin. Proraso’s Green line is notable for its really strong eucalyptus aroma, which can be a bit overpowering at times. This balm, and all of the Blue line products, smells of anise, but at nothing like the volume of the other products. Unscrew the plain black cap on a bottle of this aftershave lotion, and you’re greeted by a detectable scent of licorice, but the smell quickly fades on your face and leaves just a hint of the scent that can easily be masked by your cologne, if you wish. This balm comes out of the bottle a little bit thicker than most of the hydrating aftershave lotions that list water as their first ingredient. The consistency is a little like tapioca pudding, or like country gravy that’s been left on the table for a little while. It presents a good, well-blended consistency that doesn’t separate much on your finger, and it spreads out nicely in a smooth gradient. The drop feels slippery between your fingers, but it dries without going through a tacky, sticky phase that’s often caused by too many preservatives and artificial fixants in the mix. You don’t need much of the lotion to cover your whole face. The balm is a little thicker than what some brands offer, so you’ll probably need a daub roughly the size of an almond to get full coverage. Don’t use any more than that; there’s a limit to how much your face can absorb. With the right amount, however, the whole dose spreads out evenly and sinks right into your skin without leaving behind an oily or greasy-feeling residue. This is most likely thanks to Proraso’s virtuous unwillingness to lard up their recipes with lots of crazy chemicals and complex aromatic hydrocarbons. Instead of the usual witches’ brew of chemicals you get in the $4-an-ounce range, which is where most Proraso products seem comfortable, this balm starts out with the old standbys of water and glycerin. The glycerin is a good substitute for alcohol for the way it tightens up the skin without clogging pores or roughening its texture. This is a sensitive-skin product, after all, and the designers have kept glycerin levels to the minimum needed to get an effect, rather than going overboard with the active agent. Plenty of aftershave balms use glycerin, so that’s not what sets this Proraso balm apart. Rather, the blend uses a really comfortable mix of aloe and sweet almond to soothe and soften skin that may not be used to the kind of really close shave you get with a straight razor. Unlike most products that claim to use aloe, there’s enough aloe leaf extract in this balm to really feel when you rub the lotion over your cheeks and chin. It’s not clear what the sweet almond extract brings to the mix that the aloe didn’t already have covered, but it sounds like a nice, natural kind of thing to put in aftershave balm, so it gets a pass. It’s important to remember that, as nice as Proraso’s balm is, this is not a high-end premium product. It’s inevitable that some artificial preservatives, such as EDTA, which is used in detergent, should creep onto the list of ingredients. Xanthan gum, BHT, and C10-30 alkyl acrylate crosspolymer all appear on the list, along with the licorice root extract and anise that give this product its tangy smell. This is perhaps regrettable, and for $20 an ounce, you might find a boutique shaving balm that has none of these ingredients and goes bad in a week, but for a mass-produced shaving lotion that has to be shipped across the Earth’s surface to reach markets in America, this isn’t bad. The artificial whim-wham of preservatives and thickening agents doesn’t have a perceptible effect on the finished product and – crucially for a moisturizing agent aimed at sensitive skin – it contains no alcohol or silicate thickeners. 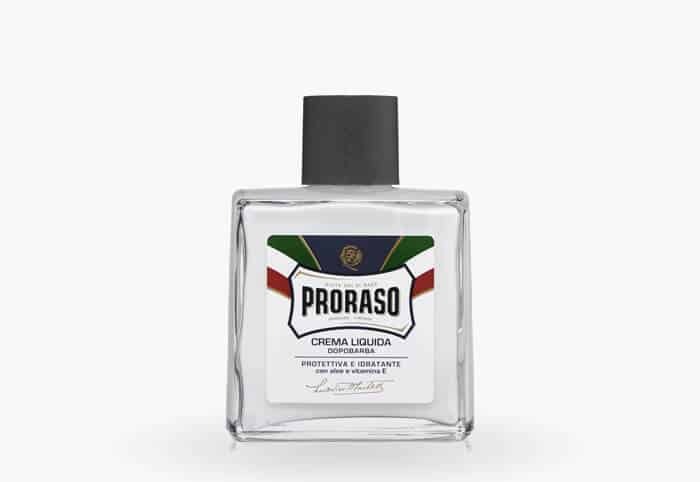 Proraso’s aftershave balms all come in the same stout little glass bottles; the only difference in the packaging is whether the product sports a predominately blue, green, or white label. The bottle stands about 4.3 inches tall and doesn’t take up too much space in your shaving kit. The 3.4 fluid ounces you get in one bottle should hold you for about five shaves a week over maybe five or six months. 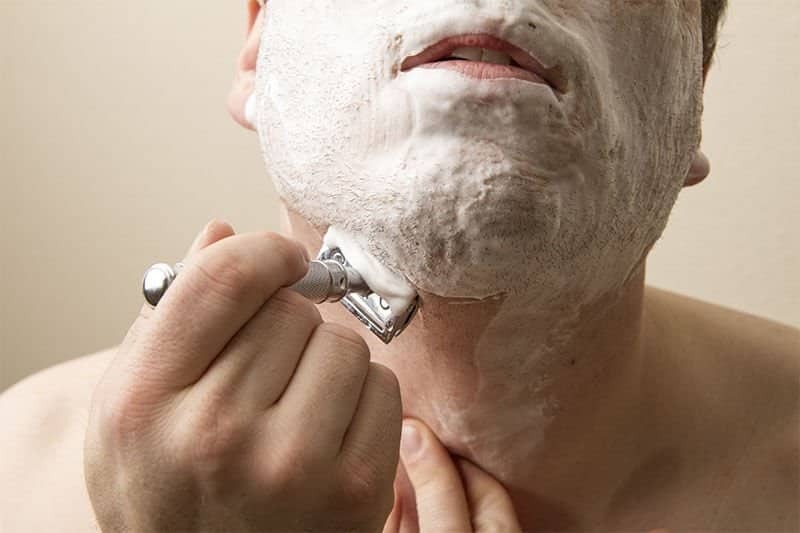 Getting a good post-shave moisturizer is a challenge for men with sensitive skin. All too often, harsh chemicals and alcohol go to work drying and chapping skin that has already been roughened by a close pass from a razor. This can discourage beginning wet-shavers, and it’s not any more fun for experienced brush-and-lather men. Proraso’s Blue line, which includes a tube of shaving soap and a soothing lather, strikes an admirable balance between harsher products and “moisturizers” which never seem to do more than leave a greasy oil slick on the face. At this balm’s price point, you’d be hard pressed to find a better approach. If your skin is sensitive, but naturally moist and soft, the Blue family of Proraso products might not be right for you. Try out their Green eucalyptus aftershave balm, ideally in combination with other Green-line products from the same manufacturer. Up until a few years ago, The Art of Shaving had a sterling reputation for crafting very high quality shaving products and accessories. The company always focused on making its overwhelmingly male customer base feel handsome and distinguished, with dignified packaging and hearty scents and good, solid-feeling containers and tools. Their products are even distributed in a slightly upscale way – one of their stores has pride-of-place at the Venetian in Las Vegas, for example. Many men came to The Art of Shaving products through their barbers, who had partnered with the company to distribute products that had the look and feel of premium stuff, but at prices anybody with a steady job could afford. TAOS’ aftershave lotion, in particular, was a popular choice for wet-shavers because the stuff used high-quality sandalwood from India and a bevy of moisturizers to get a soothing, refreshing feeling after a good shave. That all changed sometime late in 2012 or early in 2013, when the company inexplicably decided to reformulate their lotion with a seemingly bottomless bucket of synthetic ingredients and artificial dyes. While there are a lot of good business reasons to skimp on quality, a decline like that is usually accompanied by a rebranding, or at least by a commensurate drop in sticker price. Unfortunately, TAOS continued selling their reformulated balm as if nothing had changed, leading to a bevy of returns from formerly happy customers who had signed up for their complementary replenishment service. The current formulation, though not all bad, has dropped to around the 27,000th in sales rank, and the product page even claims the lotion has been discontinued by the manufacturer, though TAOS still seems to be selling it through their own website at about $40 for 3.3 fluid ounces. The scent of this Art of Shaving lotion is your first hint that something has changed. Where the old formula was hefty and dignified, with a strong sandalwood note, this product has a much less substantial perfumey aroma that smells more like baby powder than authentic Indian sandalwood. It has also apparently been dyed brown, where the old formula was a soft off-white color. No obvious explanation has been given for this, but darkening a skin-care product is often done to conceal natural discoloration or irregularities in the mix. This lotion’s texture has also substantially changed. TAOS balm has always been a little thin for an aftershave cream, but the stuff in this bottle has the consistency of melted whipped cream. That’s fine for some shavers, if for no other reason than it’s a lot easier to pour and to apply with a few slaps, but the formula goes on like baby oil and leaves a distinct residue on the skin. It seems unlikely that the artificial dyes and emulsifiers in this lotion are going to be absorbed by your skin, so that’s probably the source of the aftercoat of grease it leaves. If this kind of thing bothers you, plan to gently pat your skin with a tissue before pulling your shirt on over your head. A lot of the problems with this formula can be explained with a quick glance at the ingredients. The absolute first thing on the list is water, which explains the consistency. Glycerin comes next, which probably makes it a decent antiseptic for cleaning those little nicks and cuts everybody gets with a close shave. The first ingredient that even looks like it might be soothing is shea butter, but that is immediately followed by a coloring agent and then a list of chemicals: Isohexadecane, Isopropyl Isostearate, Glyceryl Stearate, and Peg-100 Stearate are all present, doing who-knows-what to the finished product. Right after this laundry list of adulterants, TAOS balm lists silica, which is probably a bulk filler in the recipe, and then the intriguingly vague “fragrance/parfum.” The product claims to contain jojoba seed oil and orange peel wax, as well as a few citrus extracts and such, but the good stuff – ginko biloba leaf extract and grape seed extract – that the company is proud to put on the front of the label is very close to the end of the ingredients list, suggesting they were added in very small quantities. One thing TAOS got right early on, and that it has kept right through the reformulation, is its packaging. This lotion comes in a compact little 3.3-fluid-ounce bottle that stands about 4.5 inches tall and has really simple lines that jibe with the other products TAOS offers. The Art of Shaving has produced an aftershave balm that seems to be running of the reputation its predecessor built up over years of high quality and clever marketing. This formula is thin and uninspiring, with a lot of artificial ingredients that don’t bring an obvious benefit to the finished product. Some men might like the new thinner texture and in-your-face aroma, but the customer reviews run toward disappointment with what has happened to the blend. As part of a shaving kit, especially one you were given for taking part in a friend’s wedding, the balm’s shortcomings can perhaps be overlooked, but as a standalone product, this aftershave lotion does little to justify its $40 price tag. It isn’t right to offer a competitively high-end product as an alternative to this aftershave lotion, if only because most of them win in a head-to-head competition. 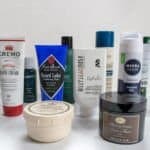 While we fell in love with the Nivea sensitive skin aftershave balm, there were plenty of other notable balms that are available that would make a fine addition to any man’s collection. Most notably, Baxter of California provided an awesome aftershave balm that will provide a sense of post shave relief through its use of tea tree essential oil and aloe vera. Its primary humectant is glycerin will provide a great base for moisture that will leave you feeling relatively refreshed. When compared to the other aftershave balms that are available, especially given high performance ones like the Nivea or Lather & Wood, Baxter of California was priced at 2x or 3x the amount making it a much larger investment. Another aftershave balm that we reviewed was the Bull Dog aftershave balm. Much like, Lather & Wood this balm heavily leans towards being one that has a profile of many natural ingredients (although not all of them). It’s packed with eight different essential oils, aloe vera, chamomile, cucumber, and green tea extract. While not nearly as heavy scented as Lather & Wood, this aftershave balm does provide a much lighter scent while still providing relatively great results. While we absolutely fell in love with Taylor of Old Bond Street’s shaving cream (i.e. its the best shaving cream we reviewed), their aftershave balm just nearly missed the mark compared to the others that we reviewed. To put it simply, this aftershave balm commands a substantially higher price per ounce when compared to Nivea ($8 an ounce vs $2.11). However one facet that we do have to commend Taylor of Old Bond Street for was its inclusion of ingredients that make up its “fragrance”. When you see fragrance on the side of a bottle of any any beauty product, it can actually contain 3,100 different types of ingredients! Manufacturers aren’t required to actually disclose what any of those 3,100 actually are – however Taylor of Old Bond Street actually does. Therefore if you regularly find yourself looking at the side of the label, you have full insight to the ingredients that make up this balm. Regarding performance, its definitely passable, however simply not worth the commanding price tag. The last aftershave balm that we reviewed was the PS by Paul Sebastian. Evoking a scent that is found in some of the top notch beard oils that we reviewed, this aftershave balm emits a very earthy and woodsy scent. It’s one that will leave you with that classic manly smell if thats what you are going for. Overall its most definitely a fine product and one that several other wet shaving enthusiasts seem to think as well. Although it does contain some alcohol based ingredients (namely cinnamyl alcohol) it won’t leave your face stinging or dried out. PS also contains shea butter and aloe vera leaf juice that will provide a smooth surface to your face. When it comes to selecting an aftershave balm, there are several to choose from, however after cutting through all the marketing jargon, we found that the Nivea aftershave balm for sensitive skin was simply the best option for providing a refreshing post shave relief for a competitive price – making it well worth the investment. If you are going for an alternative that comes from a rich heritage of shaving products, Proraso’s aftershave balm is one worth considering as well. 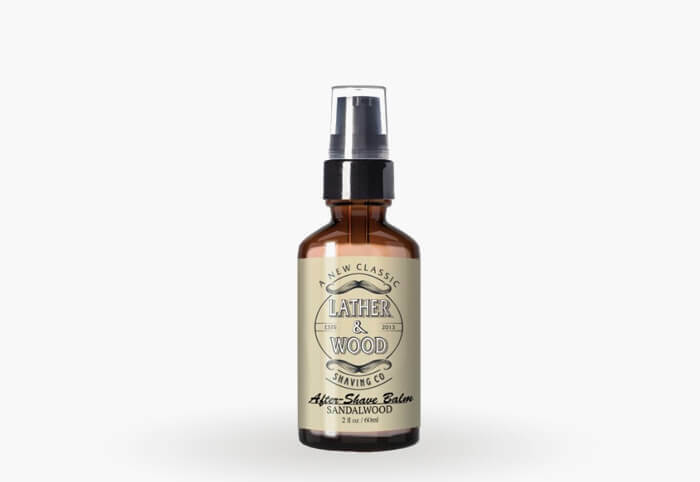 While scents can be polarizing in nature for some men, Lather & Wood provides an aftershave balm that delivers a rich sandalwood scent that will give you that fresh barbershop feeling that many wet shavers crave for. Caution though, it can seem a bit stronger at first, however should begin to wear off as the day goes on. Whatever aftershave balm you decide to go with, just remember that balms are unlike splashes and won’t leave your face in dire pain due to alcohol. Instead balms provide a sense of relief that will be incredibly refreshing even if a part of your whole shave routine simply fell flat.